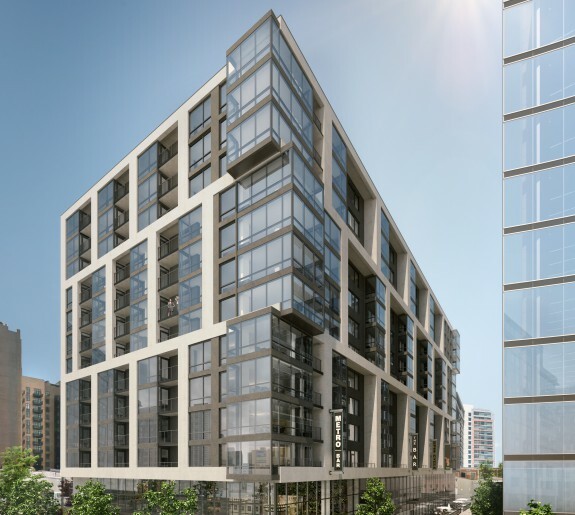 Design Collective has been commissioned to design Bethesda’s tallest sky-line defining high-rise, whose programming, scale, and aesthetics will bring iconic prominence to downtown Bethesda's urban environment. 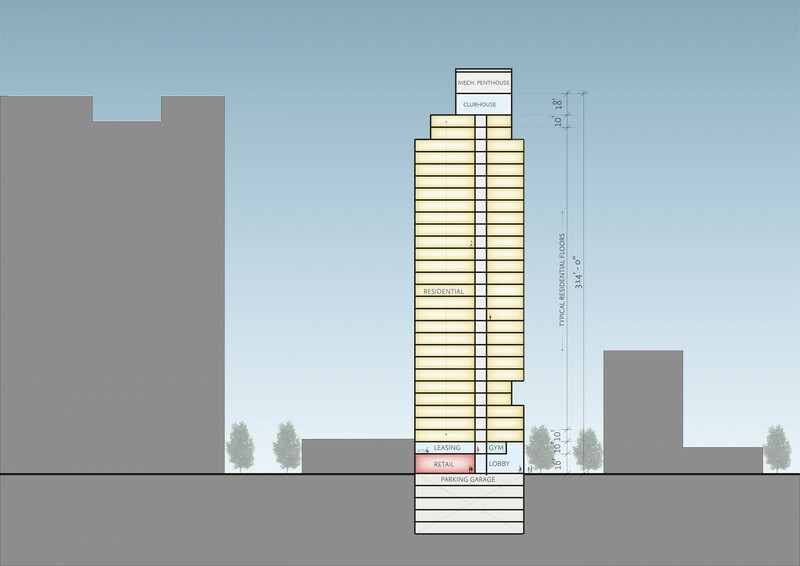 This 314’ tall, 30 story mixed-use tower includes 375,000 gsf across 320 units, 9,000 retail gsf, and 5 stories of below grade parking. Working within the County’s newly established Design Guidelines and Design Advisory Panel review process, the project is slated to achieve 10 Exceptional Design Public Benefits Points due to the ambitious socially-inclusive target of 25% Moderately Priced Dwelling Units. 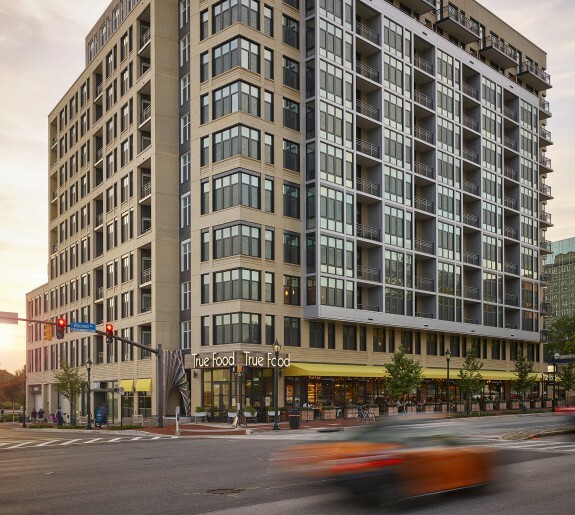 Other Design Points are achieved through maximizing energy efficiency, response to context, landmark design features, public realm enhancements, and compact footprint infill-site characteristics. 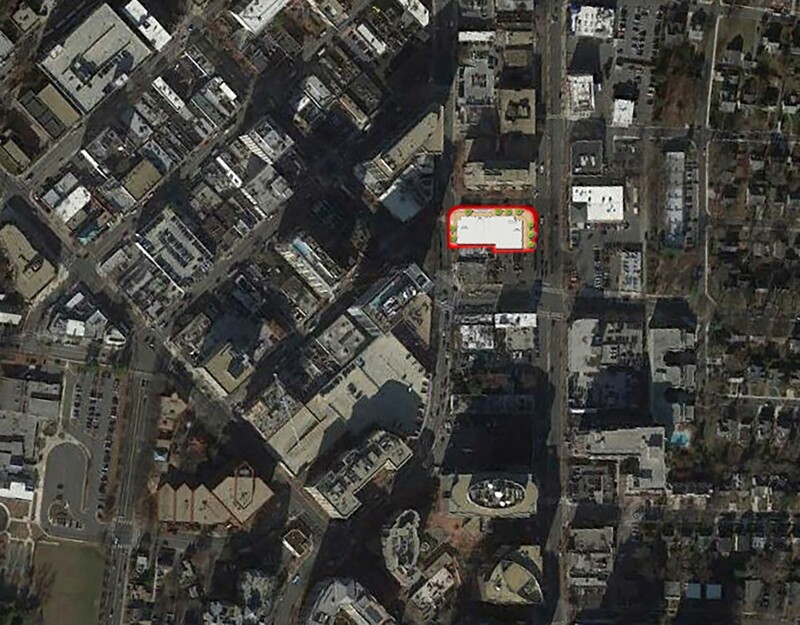 The ground level is activated with retail/restaurants and a grand 2 story lobby providing access to second level health and wellness amenities overlooking a potential future public park to the south. 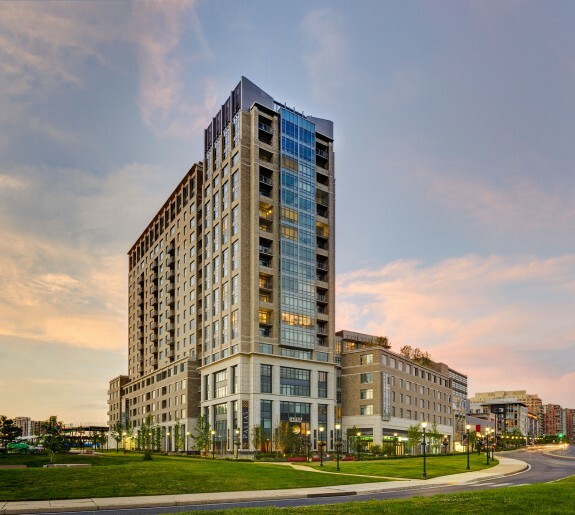 Level 30’s skyline clubhouse connects the linear terrace and framed pool deck, with commanding views over Bethesda and D.C.’s skyline beyond.